To start off on a depressing note, did you know Washington state had the 5th highest rate of skin cancer in the U.S. in 2008? Ugh. I'm not totally surprised, but it's still not a pleasant statistic. When it's cloudy most of the year, you kind of forget that the sun's rays are still making their way through the atmosphere. Then there's always that week in May or June where it finally hits 75 and everyone rushes outside to spend the day obvliviously soaking up the UVB. The next day we're like a city of cranky lobsters. I've been trying to avoid both absent-minded errors by making sure all my make-up has SPF in it, as well as wearing a good lotion with added protection. My one problem I always seem to run into, though, is that most sunscreens make my skin greasy. It may be vain, but I just don't like walking around with a shiny face all day. Luckily, my partnership with SkinCareRx gave me the perfect chance to try out some higher end lotions. My first choice was La Roche-Posay Rosaliac UV Fortifying Anti-Redness Moisturiser (woo, try saying that in one breath!) 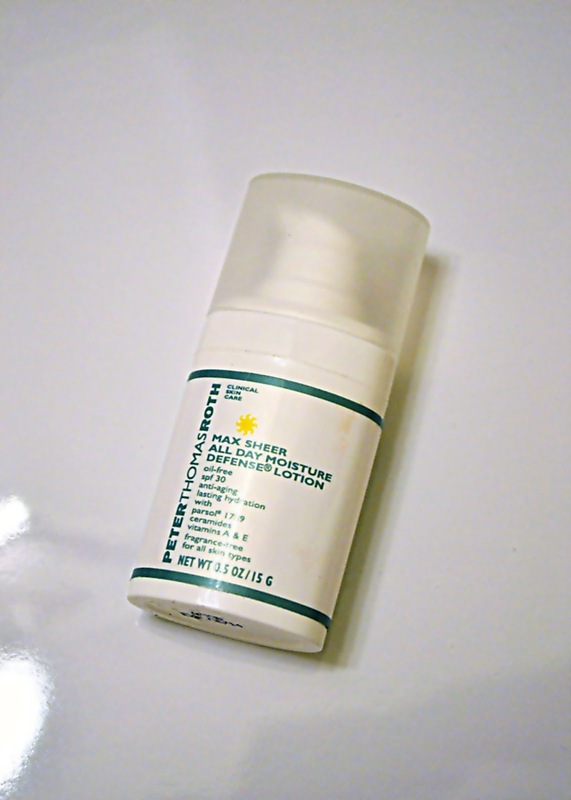 It's perfect for sensitive skin, soothes redness, and has a built-in sunscreen. I've been using it for a couple months now and I like it quite a bit. I don't notice a huge reduction in redness, but I have noticed that they dry, bumpy areas I attributed to a skin allergy have disappeared. It leaves a bit of a shiny residue, but that seems to soak in after 30 minutes or so. This is before I put any foundation on. See! No grease! Now I just need to focus on my laziness when it comes to applying to the rest of my skin. Just went to the derm a had to get moles removed!! (Shutter). Offficially making me feel old, but skin cancer is the most common cancer for people our age! Always love good sunscreen tips. I'm fair skinned too! I LOVE arcona's SPF. I had no idea that Washington had such a high rate of skin cancer! Interestingly enough, I don't think the statistic carries over to BC... but that doesn't mean a reminder to wear sunscreen is a bad thing, it's a part of my skincare routine that I definitely neglect! So important, I have been using sunscreen daily forever, and it is the only thing that will keep you look good. Especially with your fair complexion. And skin cancer is seriously scary. Can't believe [people still use tanning beds. Love La rochay. I would really love to try this, my skin isn't super fair, but it is very sensitive and while I love moisturizing my skin, I like my moisturizers to be oil free. I love my skin feeling fresh rather than greasy so this would be great for me.